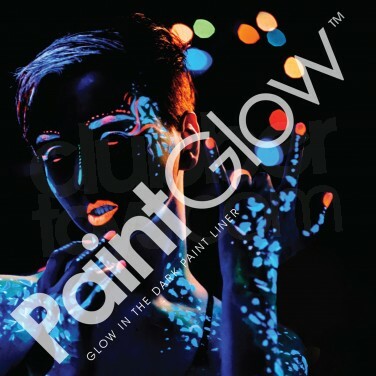 Highlight your make-up and create detailed face and body paint designs that glow in the dark too with HD paint liner. The waxy paint nib and pen form make it easy to apply and create intricate designs in bright neon colours that glow brightly in the dark. 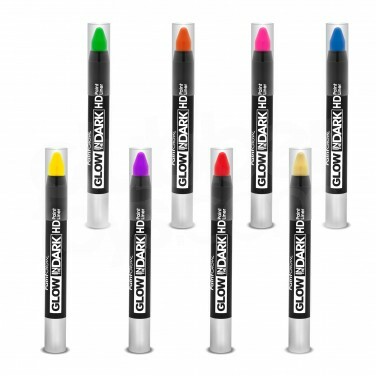 Just the right size to slip in your pocket or purse on nights out, glow HD paint liner adds a little extra wow to your party look.